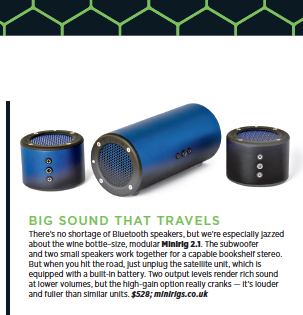 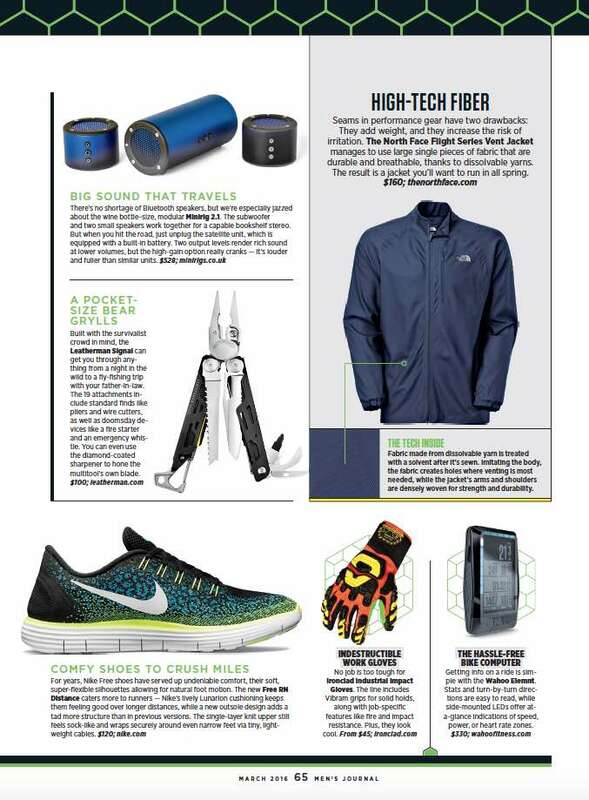 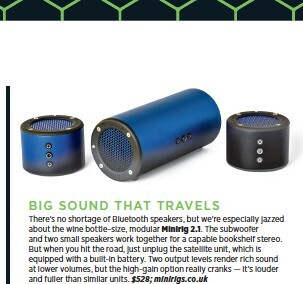 The unique Minirigs 2.1 speaker system has been featured in the highly influential US men’s magazine, Men’s Journal. 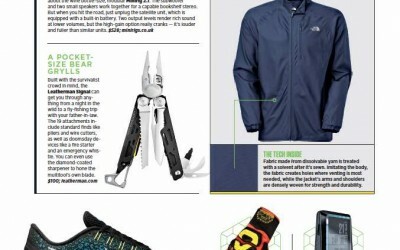 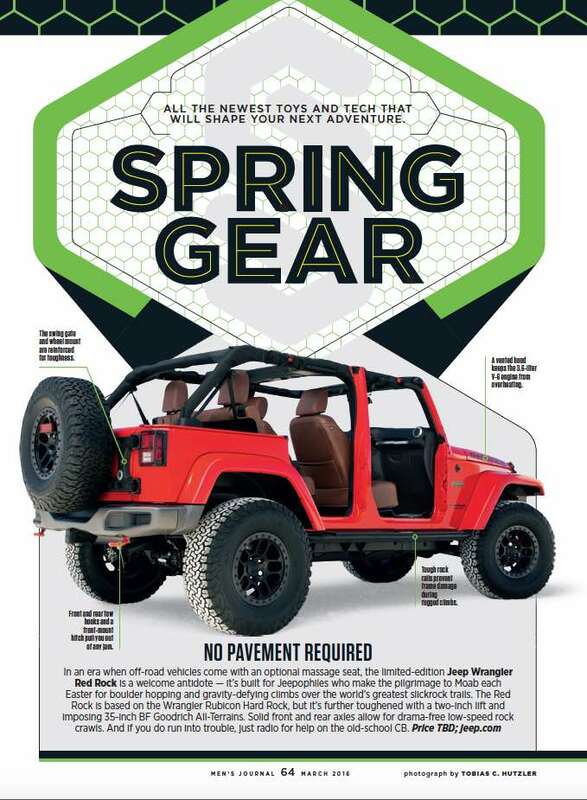 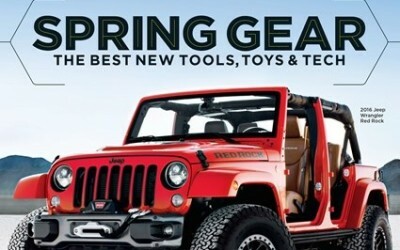 In the brand new March issue. 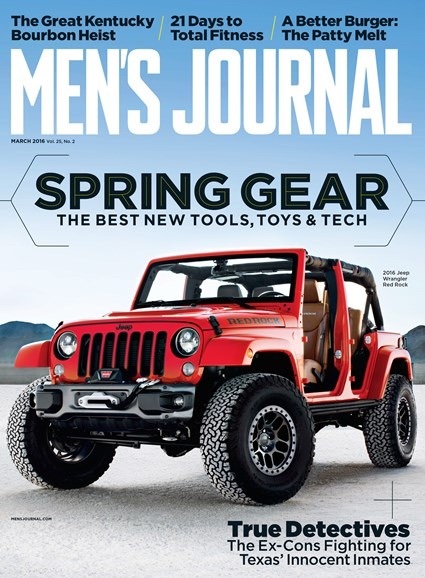 Their annual ‘Spring Gear’ feature includes all the latest products that Men’s Journal believe to be their list of ‘must-have’ essentials for any man in 2016.